The mission of the Circular Economy Program is to attract, retain, and grow businesses, non-profits, and entrepreneurs in the zero waste industry in order to create well-paying local jobs, attract investment, and support the necessary infrastructure for a resilient circular economy in Central Texas. Dedicated staff is available to assist companies interested in starting up and expanding their recycling, repair and reuse activities in Austin. Download the resource guide, or contact us and let us know how we can help! 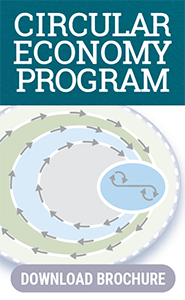 The Circular Economy Program is a joint effort of Austin Resource Recovery and the Economic Development Department. The City of Austin also offers a range of business assistance for recycling and waste reduction at the workplace. 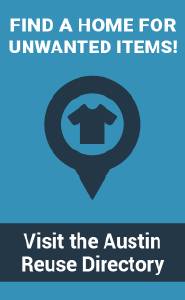 Learn more at austintexas.gov/zerowastebusiness. Please note that the Austin [re]Manufacturing Hub project is currently on hold. RSVP to Repair Your Items! Texas Businesses Use Your Recyclables Map shows 125 manufacturers!